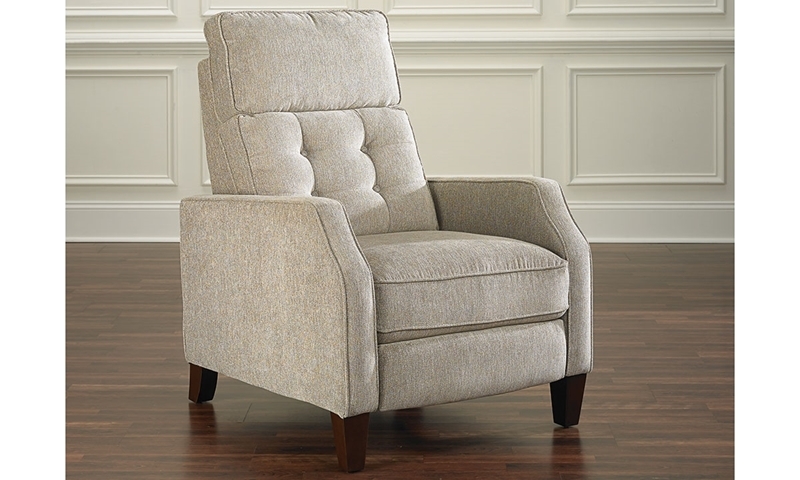 A high, tufted back and sloped track arms soften this recliner’s modern silhouette. A tall, button-tufted back, sloped track arms and tapered wood feet provide this 3-way recliner with a streamlined and stylish yet comfortable design. Durable upholstery in a versatile light grey shade gives this piece staying power in your home.